Don't Downgrade Your Chase Sapphire Reserve. Not Yet, Anyway. UPDATE 2: Chase recently changed it’s annual fee refund policy for product changes from 60 days for a full refund to about 40 days. The premise of this post still works, just mind the timing if you choose to downgrade/product change. UPDATE: It’s now mid-December and I’ve seen enough positive data points to completely discredit this comment that concerned some readers. The premise of this post works as described. 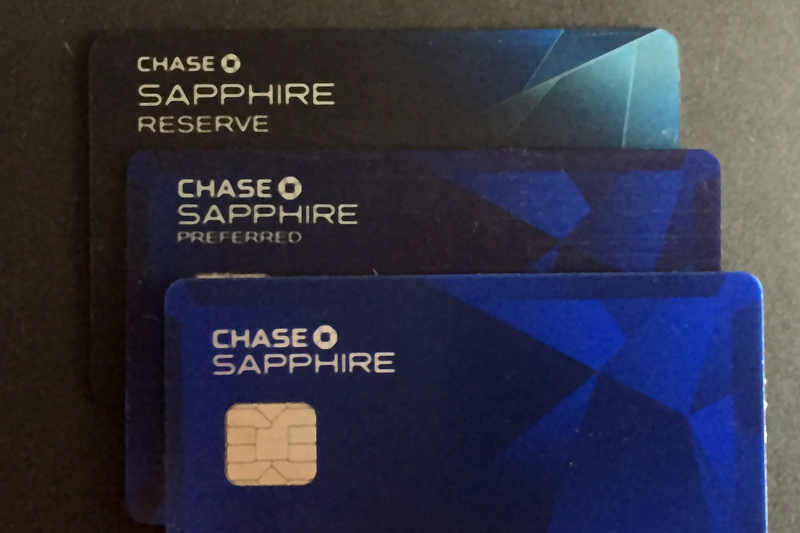 One year ago, Chase introduced the Sapphire Reserve to it’s stable of credit cards. 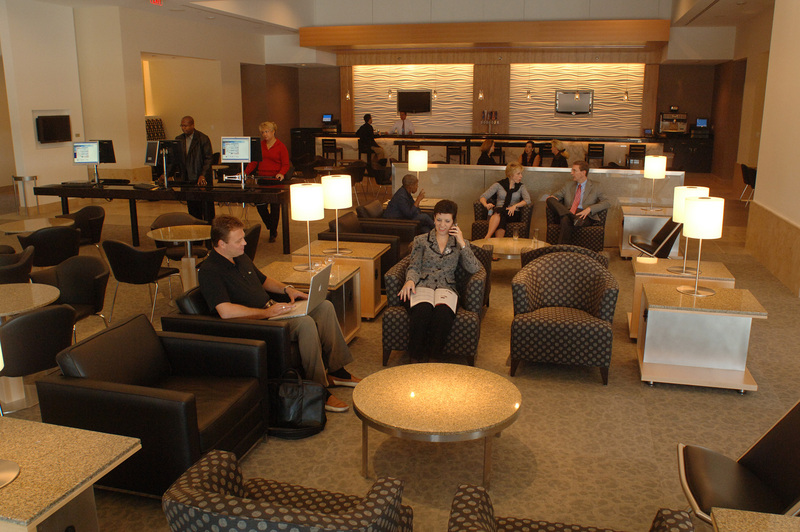 It carries a hefty $450 annual fee, but it also offers a myriad of travel benefits that offset that fee. These include an annual $300 travel credit, complimentary Priority Pass airport lounge access, and Global Entry/TSA Pre✓ credit. If you applied for the Sapphire Reserve when it first came out, you are facing a decision as the $450 annual fee charges to your account. Many of you will keep the card citing it’s premium features. Some of you will make the mistake of canceling. Others plan to downgrade (the official term is product change) to a no-annual-fee Chase card like Freedom or Freedom Unlimited. If you intend to cancel your Sapphire Reserve entirely, I suggest you reconsider. The strategy I lay out below won’t work if you cancel. Downgrading to a free card is a better option for a number of reasons. And you can always cancel the free card later if you insist. If you’re thinking of downgrading now, to avoid paying the annual fee, DON’T. Not yet, anyway. I’ll explain why, but first some background. The first requirement of this exercise is to understand that Chase has two different annual fee refund policies. One for when you cancel your card and a far more generous one for when you request a product change to a different Chase card. Chase’s policy for cancellations: Once the annual fee hits your account, you have 30 days to cancel for a full refund. After 30 days, no refunds–period. This new, tighter policy went into effect in 2016. Chase’s policy for product changes: Once the annual fee hits your account, you have 60 about 40 days to downgrade to a no-annual-fee card and get a full refund. However after 60 40 days, a pro-rated portion of the fee will still be refunded to you. For example: If you downgrade your Sapphire Reserve 6 months (half a year) after your annual fee, Chase will refund $225 (half of $450) of that fee to you as a statement credit–automatically. On the other hand, if you cancel after 6 months, you get nothing! Product Changing is better than Canceling! The second piece piece this puzzle is the annual $300 Travel Credit, which is easily the most lucrative benefit of the Chase Sapphire Reserve card. With this simple-to-use benefit, a credit is automatically applied to your first $300 in travel expenditures each year. If you applied for the card before May 21, 2017, your $300 resets in December. Any travel charges that post AFTER your December statement date will count towards next year’s credit. NOTE: If you applied for Sapphire Reserve on or after May 21, 2017, then your travel credit resets around your approval anniversary. So, When Should You Downgrade Sapphire Reserve? Now that you understand Chase’s annual fee refund policies and the travel credit, we can move on with an example. Let’s say your annual fee is scheduled to hit your account on October 1, 2017. If you’re still reading, this will be true for many of you. Let’s also say that your statements post on the 10th of each month. Therefore, your 2018 travel credit becomes available on December 11, 2017. If you downgrade as soon as the annual fee posts in October, the charge will be fully refunded and you won’t have to pay it. But what if you go ahead and pay the $450 annual fee when it’s due, and wait to downgrade until the end of December? You’ll have a window of opportunity to use your 2018 travel credit AND still get a large pro-rated portion of the annual fee that you paid refunded to you. Lets do the math. You pay $450 on October 1 and downgrade by the end of December. This means you use only 3 months worth of your annual fee (October, November, December). That’s 25% of the year. The unused 75% of the annual fee that you already paid will be refunded to you–that’s $337.50. You’re net dollars out of pocket for the Annual Fee is only $112.50 ($450 – $337.50). However, recall that your travel credit resets on December 11. With a little planning, you can get your entire $300 2018 credit before you downgrade your card at the end of December, 2017. For waiting, and ultimately paying only a portion of your annual fee, you get the FULL 2018 travel credit! That $300 credit only cost you $112.50 AND you enjoyed the benefits of the card for 3 additional months! For those of you who’s annual fees post September 1, if you downgrade by the end of December, you’ll get 2/3 of your annual fee ($300) refunded. You’ll get the full 2018 travel credit and 4 extra months of card benefits for only $150! If you can quickly monetize your entire 2018 travel credit before the end of December 2017, it makes sense to hold off on downgrading Sapphire Reserve until then. The $300 credit you receive will more than offset the pro-rated portion of the annual fee that you pay. Thanks for this, Yak. Astute analysis, clearly presented. Thanks for the article. I was approved for the card in August 2016. Got the credit for both 2016-17. My annual fee hit on Sept. 1st 2017. My December statement date is around the 12th of Dec. If I understand this correctly, will my travel credit reset then? If so, I may pay the AF and then downgrade after the 2018 credit hits. @Traveler, the answer is yes to both questions. Any travel charges that POST after your December statement will appear on your January 2018 statement. This means they are eligible for your 2018 travel credit. If you can monetize the entire $300 and downgrade before the end of December, you should be refunded 2/3 of the annual fee that you pay now. The only risk is that Chase changes their AF refund policy between now and then. Highly doubtful IMO. @Courtney, your annual fee should post tonight. Your travel credit should have reset in December. If not, then something is amiss. Give Chase a call. Thanks for your reply- I found it it had already reset, but on my account, it said ‘$0 received’ which I took to mean I had received none of the credit- but it actually means I haven’t spent anything to be credited for! My mistake! Anyway, so now I’ve been charged the AF, and I’ve got the credit ready to go, but I’ve yet to pay the fee. Do you think I can monetise the entire $300 credit and still get refunded for the new AF since it was just charged to the account? Thanks! @Courtney you definitely still have time! You have until the end of March to downgrade for a full annual fee refund. Monetize the credit and make sure it posts before you downgrade. In the meantime, keep paying your bill on time including the annual fee to avoid interest or late fees. Sorry, last question- Would I still get refunded if I cancel rather than downgrade? That is all- you’ve been super helpful! Thanks Yak. Keep up the great site! i just called chase and they said they added a provision that said if you use any part of the travel credit, your refund of annual fee is offset by what you used plus the months you kept the card. i don’t want to chance paying the prorated portion plus the offset of the credit. @at, there’s always the risk that the rules change. I’m not sure what to make of what that csr told you–it wouldn’t be the first time they spread mis-information. Time will tell. provision where? There is no mention of such a change in the T&Cs of the credit card agreement. My wife also said she knew of this. I have a feeling, some will get the travel credit, then cancel hoping for the prorated amount and then will find the travel credit deducted from the prorated amount. Could be a timing issue (travel credit in the same month you cancel). Either way, banks read blogs and learn, so don’t count on anything as iron clad or you could be disappointed. I’m one of those who will be keeping this card because I see further value in it even though the fee is high. @at, As I suspected, the added “provision” that was described to you doesn’t exist. I’m getting reports of annual fees being refunded exactly as written in my article. It is now almost August of 2018. Has Chase changed their policies at all? Thanks for the post though; my first time on this site. Found it for this exact issue! @Jack, The only change is a now shorter period to downgrade for a full refund of your annual fee (from 60 days to about 40 days). I’ve just updated the post to reflect this. If you applied prior to May 21, 2017, everything in this post still applies to you. Just to be clear: I will still be able to wait until I get the travel credit then downgrade the card to get partial refund? Thank you again for this great tip! Can you downgrade to a fee card like the CSPreferred and get these benefits too, or only the Freedom type no-fee cards? Yes, it should work the same way. If I change the payment due date to the 1st of the month, will that make the December statement close date to sometime around 12/5? I would like to make the December statement close date as early in the month as possible. I seem to recall that Chase usually takes about 5 days to complete the downgrade. Or maybe that was Citi? If Chase does take 5 days, it would be better not to wait until the last minute. @JW, yeah in your example it would be either the 4th or 5th. Not a bad idea to change the date. Stupid question time, would downgrading/ product changing to another card count against the 5/24 rule? @Joe, not with Chase. It’s the same account after you product change. If I product change CSR to Freedom, would I be able to apply for a new Freedom a few months later and still earn the sign up bonus? In other words, will holding a Freedom prevent me from getting the same card again? @JW, holding a Freedom would prevent you from being approved for a new Freedom. Product change to something else before you’re ready to apply. Or apply for the Freedom now, while you still have CSR. You CAN product change your CSR to a 2nd freedom. 1) could you downgrade your CSR to a freedom or freedom unlimited if you already have both of those cards? 2) if so, can you downgrade the CSR to a freedom or freedom unlimited AND upgrade your freedom or freedom unlimited to a CSR card? 1) You can downgrade to a 2nd Freedom card which is beneficial if you max out the 5x categories. There’s not really a benefit to having multiple Freedom Unlimiteds. 2) You can do this if you’ve had the card that you’re UPGRADING for > 1 year. I’m not sure what is gained from this strategy however. I was thinking the benefit might be 2 chances at the $300 credit. If you use the $300 travel credit, then downgrade for a refund you’d get the refund of $337. And then upgrade a different card to the CSR you might be able to get another $300 travel credit. I suppose it’s worth a shot. >”Once the annual fee hits your account, you have 30 days to cancel for a full refund. I was told 30 days from statement print date for Chase Ink Bold, not 30 days from the fee posting. I would think CSR is the same. There’s enough doubt in my mind that I’ll continue to recommend 30 days from AF posting. I signed up sometime late into November 2016. Based on your post, I could use the 300 2018 travel credit in December of this year and then downgrade in January 2018. Then I would get the whole 450 fee back? Is that correct? Have there been any updates to the terms? @Dave, that sounds correct. You probably won’t see your 2nd AF until December 1 so you can downgrade in late January. HI Yak. I don’t have any of the Freedom cards yet. Does it make sense to downgrade my CSR to no-fee Sapphire, instead of the Freedom (so I can get the Freedom sign up bonus later)? I already have Ink Prfe to transfer out points. Thanks! @airgypsy, the no-fee Sapphire would work, particularly if you plan to apply for the Freedom cards later. What happens if you downgrade (PC) the Reserve during the 60 day window after having used the $300 travel credit? Would you be up $300 from the credit AND still get the full $450 refund? or would they cancel the $300 credit during that grace window? @Kevin, the premise of this post is to use the $300 credit AND get a full or mostly full $450 annual fee refund. The only way it won’t work is if Chase changes its policy. 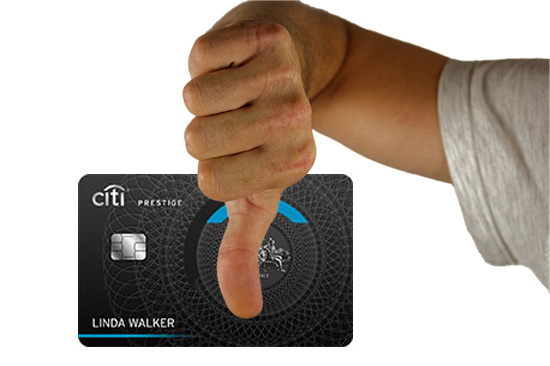 If you downgrade to another chase card do you still keep the points you have accrued? Do they move with you to the downgraded Chase card? @Karen, yes you keep the points and they stay with the downgraded card. The thing that isn’t clear to me is when to do that PC. Should I wait for the statement to close after utilizing the credit? Or can I get the 300$, use it, and downgrade all within a few days? @don_alberto, I think once the 2018 credit posts to your account, you’re good to downgrade right away if you’re close to your 60 day refund window closing. Well, I’m already past the 60 day, meaning I’m suppose to get a prorated refund. My statement closed on the 4th, I’ve got the credit and used it on the 5th. the question is, should I downgrade now – risking they somehow take the credit back, or wait for the statement to close on Jan 4th, and then downgrade. I’ve never seen Chase do anything that would lead me to believe that you need to wait. If the credit has posted to your account already it’s ok to downgrade immediately IMO. Ok, thanks, I asked for a downgrade. I’ll report back once I get a response. Hi, were you able to downgrade? Would you share your experience please? TIA. Has anyone had luck with receiving a 75% prorated refund of the annual fee, while getting the 2018 $300 travel credit and then downgrading the card? I got a 83% (10 month) refund today. Did you receive your $300 travel credit for 2018 as well? my AF hit Sept 1. according to my bill, i was expecting the credits to reset on 12/18, but it actually reset on 12/1. i called Chase to confirm, that for everyone in my boat it reset on the first of the month. @GD, your credit resets at the end of the day of your December statement date. Everyone is different. If your credit reset on 12/1, then your statement dates must be the 1st of each month. Why did you think it was going to reset on 12/18? Apologies in advance. Is it possible to PC to regular sapphire card? If so, would that affect my ability to ever get a bonus on the sapphire preferred later? Is it even possible to get another bonus or is the bonus limited once per lifetime across all sapphire cards. I don’t want to PC to freedom because I was hoping to get a sign up bonus early next year. If I am forced to PC to a freedom card, can I still get a bonus with new card sign up and have 2 freedom cards open? I’m coming up on two months so will need to make a decision soon. My annual fee hit Nov. 1st, so I’m assuming if I PC before 1/1 then I should get a full $450 refund? Finally, why are people asking for a PC through secure message and not by directly calling customer support? Is one better than the other? @Squirty, no need to apologize. You can PC to regular no-annual-fee Sapphire. It will preclude you from being approved for a Sapphire Preferred while you have it. But you’re not eligible for a Sapphire Preferred for another year, so lets not worry about that yet. I would PC the Reserve to a to Sapphire. Next year, sometime after you are approved for your Freedom and get your bonus, PC that Sapphire to a 2nd Freedom. Then after it’s been 24 months since you got the signup bonus on your Reserve, you will become eligible for another Sapphire product. At that point, you can choose to apply for CSP or Reserve again. Like I said, that’s still a year away. Depending on how you count, January 1 is 62 days from when your AF posted. PC sooner than that to ensure a full AF refund. You can call Chase or send a secure message. It’s personal preference. Thanks so much Yak! Your tip regarding maximum utilization of the travel credit is fantastic and I’m so glad I ran across your website. You’ve got a new follower! Thanks for the kind words. I’m glad you’ve found the info useful. Sorry if this sounds convoluted but it’s how I’m seeing it in my head and I’m wondering if I’m misunderstanding as I don’t see it being mentioned explicitly. For people who got the card oct/nov/dec of 2016, we’re essentially triple dipping, right? For example, I got the card in October 2016. I used the travel credit right away. So I was at net -$150. Then I used up my 2017 travel credit. So I was at net $150. Then my AF hit on October and I was at net -$300. My December statement has posted and my travel credit has been reset. If I were to use the credit right away and get a prorated refund, I’d be at net $337.50, correct? I’m pretty certain this follows what you’ve outlined above but I just haven’t seen too many people mention the above situation when I believe a lot of cardholders would be in the same situation. @Peter, yes you have the gist. It’s not quite a full Triple Dip since you won’t get your entire 2nd AF refunded, but it’s close enough, right? My annual fee posted on Dec 01. My travel credit reset on Dec 18. I made a travel transaction on Dec 19 and see it is posted with 300 travel credit today. So am I good to product change now. Any chance of Chase cancelling the 300 statement credit. Please suggest if I should wait for next statement or can I do a PC right away and save the annual fee? @Steve, Since your annual fee posted on Dec 1, you have until about January 29 to downgrade and have the fee refunded in full. There haven’t been any reports of statement credits being cancelled or refunds being reduced. This downgrade strategy is great, and thank you for sharing! What about status of the points that you have? Aren’t the points via the Reserve more valuable than those from a Freedom card -do your points remain as versatile? @Liz, UR points on the Reserve card definitely have more valuable redemption options than no-annual-fee cards. This strategy assumes that the reader has already decided to downgrade and only address timing. Hello, I received the card in march of 2017 and also received the travel credit right away. My statement runs through the 4th of every month and I just used it 11/30 for travel and somehow it posted on 12/5 and i received another $300 credit. I believe my annual fee will come up again in march of 2018. Does this mean I can downgrade the card now and essentially have received $700 in credits (including global entry) for 1 fee of 450? Also, if I downgrade are all my accumulated points still worth what they are worth with reserve? I believe for me the biggest benefit is transferring points 1 for 1 to an airline rewards program. @Joe, you have a few different options here. If you got the card in March 2017, your annual fee should post every April 1. You can downgrade before the end of this month and get 25% ($112.50) of the original annual fee refunded to you. There are some that feel that downgrading prior to having the card at least 1 year crosses some moral line or is akin to biting the hand that feeds you and could anger Chase. That’s a judgment call. You go the traditional route. Wait until the annual fee posts in April and downgrade then. Finally, if you downgrade to a no-annual-fee card, your existing points will only be worth 1c each and you can no longer transfer to travel partners. You can downgrade to Sapphire Preferred. The annual fee will be $95 and you will not be eligible for any signup bonus, but you will retain the ability to transfer to travel partners. @Yak, thank you for the information. 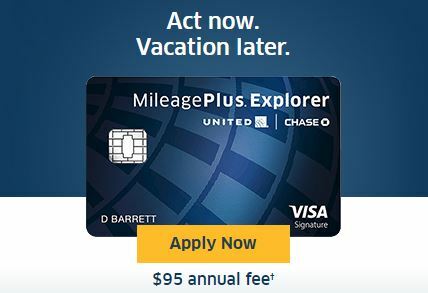 Is the $300 travel rebate on a calendar year after the first year or is it card anniversary? I received the travel credit in March 2017 when i signed up for the card and then again in December 2017. When am I eligible for another $300 travel credit? @Joe, you’ll be eligible for another $300 travel credit in December—the day after your statement. Succeeded in getting the credits and downgraded the card. Haven’t seen any posting back of the annual fee yet. @jpv, the refund generally posts anywhere from a few days to a couple weeks after the downgrade. @Tom, the AF refund happens automatically. It takes a couple days to a couple weeks for it to post. Called and they told me it would take about 1 to 2 billing cycles for the refund to show up. That’s Chase’s standard answer to this question. In reality, the refund posts much sooner. I will come back and post DP once the AF refund is posted. Thanks. My full Annual Fee Refund just posted today! Hey Yak, I applied for the CSR back in January 2017 and received my first $300 credit around that time last year. Fast forward to January 2018 and I already received my second $300 credit a few days ago, but my $450 won’t be billed to me until Feb 8th. So basically, they gave me the $300 credit before even charging me the $450. Does this mean that I can downgrade the CSR before they charge me the $450 and still keep my $300 credit? If I can, that will be pretty awesome. @Trini, your travel credit reset when you got your December statement. That’s how it works. If the credit has already posted to your account, you can downgrade any time between now and 60 days after your annual fee posts. I Opened my CSR on Jan 3, 2017. AF posted Feb 1 last yr.
1) If Im not mistaken the AF should be hitting my acct on Feb 1 correct? 2) With this escenario, when will my 2018 travel credit reset? Im looking forward to use it before the AF hits again. 3) What would you suggest to do after I use the travel credit, close cc or downgrade? I would like to be eligible for the CSR sign up bonus again in the future. I only have the Chase Sapphire (no fee) which I downgraded from the CSP about a yr ago. 4) Can I still get the sign Up bonus again If I apply for the CSP in the future since I only did a PC to the CS – no fee? My second annual fee hit September 1. Got my second travel credit, transferred over my points, and called today to cancel my card. I asked about a prorated refund for my annual fee and the CS agent said that they don’t do that. Only a refund for the fee if it is within 30 days. So I told her I guess I will keep my card open. Was she wrong? Would it just automatically be refunded? @Sam, read the section “Chase Annual Fee Refund Policy” in this post. You need to downgrade–not cancel–your CSR for a pro-rated refund. I just called Chase for a downgrade. Still below 60 days from the day the second yr. Fee hit me. But they told me that there is no full refund below 60 days even in a downgrade situation. They mentioned that only cancelations or downgrade before 30 days get a full refund. @Ab, front-line Chase phone reps have the unfortunate reputation of spreading bad information. Unless Chase changed their refund policy in the last couple days, this is just another example of an uninformed customer service rep. Once you downgrade, your refund should post any time from 2 or 3 days up to a couple weeks. 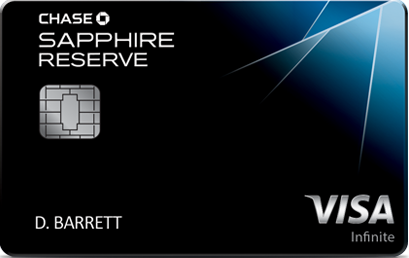 My Sapphire Reserve card points give me a 50% bonus if I use it towards airline tickets. Do my points still give me that bonus if I downgrade to another Chase card? @Stephen, you will no longer have that feature if you downgrade. That is a factor you need to weigh when you consider whether or not to keep the card. Still working post 60 days, I got my partial refund 2/1/18. @MC thanks for the data point! I want to make sure whether I can use my $300 travel credit. I got 2018 travel credit on12.18.2017 and AF posted feb.1.2018. I still have $300 on my card and I want to use it then downgrade. Can I use the credit and avoid to pay AF if I use it before 30 days of the period? Yes, use your travel credit, then downgrade the card before the end of April for a full refund of the annual fee. I was just told that there is no pro-rated refund of the annual fee. My annual fee hit Dec 1st. I used up the $300 travel credit for 2018 and used up all my points for an upcoming travel. I should have ideally done this before Feb 1st to be within the 60 days, but got delayed by 5 days – and I was denied any pro-rated refund. Was the agent wrong or has the policy changed? I guess I should have scrolled up a few comments – hope it was just a mis-informed rep.
Called again, another rep confirmed I would get a pro-rated refund. So, initiated a downgrade. @DJ, you definitely got one of the many infamously misinformed Chase phone reps the first time. Nothing in the refund policy has changed. Got my annual fee refunded. I initiated the downgrade 67 days since the annual fee was charged, but it was still before the close of the 2nd billing cycle since the charge.. I expected a pro-rated refund due to the 60-day policy, but to my surprise, I received the full refund, not pro-rated, I kept the $300 travel credit as well. So, this still works as of Feb 2018!! And I guess the deadline is close of second billing cycle since the charge rather than exact 60-days. @DJ, that’s a really helpful data point. I’ve been looking for one just like it. Thanks! I’m hoping I will be in a similar boat to you soon. My annual fee posted the beginning of Feb, and I have now used all of the travel credit. The payment for the AF is due at the beginning of March, so I’m thinking if I downgrade before then, I should get all of the AF refunded and still have kept the travel credit. Courtney, I just spoke to a Chase representative on the phone and she mentioned that I may be getting charged for the $300 travel credi. anyways I downgraded this month the same month that I got charged for the d $450 annual charge and also the same month I got the travel credit for $300. does that mean now that I downgrade to a regular Sapphire card basic with no annual fee, e do you think I still would be able to retain my $300 travel credit. Or would chase take that back? @Ricky, yours is another example of a clueless Chase phone rep. There has not been a single data point of Chase ever clawing back a travel credit. Not one but two sales reps confirmed that after I downgraded I would be refunded the full amount of the annual fee as it was still within the 30 days, and the travel credit (which had been completely utilised) wasn’t even mentioned. My only concern is that I’m still waiting on the refund, but the card has been downgraded…so I’m still waiting on that- another rep said the refund can take up to two billing cycles. I just canceled the card last night. Do you guys have any idea how long it usually takes for the refund to get posted? @Johnny, not sure how long for cancel. Most people downgrade and it takes anywhere from a couple days to a couple weeks. Thank you for replying. Actually got the refund last night. So it took a day for it to post. Thanks for all the tips! I bought $300 Southwest gift cards, got credit, paid current balance (From other transactions) last week. Just did Product Change to Freedom Unlimited. The only thing that pissed me off is the “30 days” isn’t 30 days… it’s the same day of the following month. So, even though it has been only 29 days since February 1st, I lost 1-month proration on the year of the $450 refund. I think most reps would have waived it, but for some reason the one I got today was the least helpful I’ve ever had – must be having a really bad hair day. I almost cancelled the conversation to call back and get someone else. Let me know if you guys thing I should call back later and fight for the $37. @james, It’s not clear from your comment if you actually received a $413 refund or if you were just told by the rep that you were getting a $413 refund. My guess is the latter, in which case the rep was simply wrong. There are plenty of examples of misinformed Chase reps in the comments on this post alone. Come back and update us when you actually receive the refund. Yep, you were right…. misinformed rep. I received the full $450 refund a couple days ago. Thanks again. @James, A misinformed Chase rep strikes again. I wish I could say I was surprised. I’m glad you got the full refund as expected. I am planning to close CSR. My wife has CSR too. Is it safe for me to transfer all my 120K points to her account? @Yu, Chase absolutely permits combining points with a member of your household. There’s nothing to be concerned with. Thanks. I am just concerned about the big # of points I am going to transfer to my wife. Do you know if a lot of people have transferred more than 100K in one shot to the family member in the same household? @Yu, I really don’t think you have anything to be concerned about. I may very well have transferred 100k+ personally, I just don’t recall. Mainly because I wouldn’t really think anything of it. Thanks a lot Yak. One more question. I plan to transfer points from my CSR to my Freedom now. Later, can I transfer those points again to my wife’s CSR? 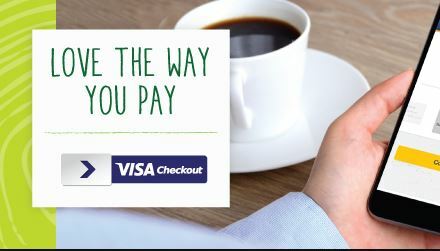 @Yu, Yes, you can combine points onto your own card and from that card to a person in your household. New data points for you Yak! – Didn’t realise travel credit for the new year was ready to go, so took advantage immediately (train tickets). – Mid- late Feb Utilised all of $300 travel credit. – Late Feb. Call to downgrade to Chase Freedom before annual fee is due. Sales rep confirmed the AF would be refunded in full as it was within 30-day window. Thanks so much for this thread- you have earned a new subscriber! 🙂 Hope this timeline helps others as well. Well done, Courtney! Thanks for the detailed timeline. So I completely understand the process and everything. Just one question, do I pay the annual fee and then wait for it to be refunded once I PC to a freedom card? If so, then I’ll have 450 dollars in credit on my freedom card? Or is there any way for me to just get the 450 back into my checking account…? Btw, great post! I never thought about doing this… my initial plan was just to downgrade my CSR card once the annual fee hit this November, then apply for the CSP card for the signup bonus again since the last time I got a sapphire bonus was from my CSR card back on December 2016 ( I also got a CSP card bonus back in June 2016). So with this strategy, I’ll get the 300 TC bonus and another 60k UR points.. let’s just hope chase doesn’t change their policy regarding the annual fee refund! @Andrew, a couple things. First, the annual fee question. It all depends on the timing. You need to pay the fee before the due date or suffer late fees and interest. If you get the automatic refund prior to that, then you’re all set. Otherwise, pay it, and you will have a credit on your Freedom. Then you can request a check from Chase for that credit. When you re-apply for CSP, make sure it’s been a full 24 months since you got your CSR bonus. Also give it at least a week between downgrading CSR and applying for CSP. Sooner than that, and Chase’s systems might still think you have another Sapphire product. Thanks for the pointers! Very glad I found this article! Chase says a refund if downgraded within 60 days is no longer their policy. The account goes “under review” and they might refund, might prorate, or might do nothing. Chase could not guarantee. Guess I’ll be stuck with this card another year and not make the mistake to wait so long to cancel next time around. I see this all the time from Chase reps. It’s completely untrue. @yak Thank you for your insights. If a card has annual fees, do they post right after upgrading a card such as the Chase Freedom to CSR? Also, if you product change back to the freedom after using the CSR benefits within 30 or 60 days do you get the full annual fee refunded, or is there a period of time where you can’t do another PC? @Allen, I’ve seen a number of people upgrade to CSR, but I can’t find any pattern to when the annual fee is charged. Some go months without seeing it. You can product change back down again after the fee, but I wouldn’t make a habit of it. When Chase gets pissed, they just shut down all your credit card accounts without warning or recourse. CSR and CSP are considered the same as far as eligibility. You must wait 24 months after getting a Sapphire bonus AND you must not hold any Sapphire card to be approved for another Sapphire card. Strange – I just got shut down when I tried to downgrade to the Freedom Unlimited today. I am only 11 months in, and in good standing . Did they change their rules? cannot change your account to a different product. you already have may not be eligible for approval. @Marty There’s nothing new about this. You can’t downgrade a Sapphire to a Freedom product until you’ve had the card for 1 year. One thing that HAS changed: you’ll need to call to product change. Chase won’t do it via Secure Message any longer. I got my CSR before May 2017, so my travel credit resets in December. I just got my 2nd AF earlier this month (9/1/18). I didn’t cancel my Reserve last year bc was in midst of planning a trip and needed to keep it open to transfer pts to partners. Does this post still apply if I product change after getting the $300 credit this December? (Sep 1 – product change end of Dec 2018) = 4 months = get prorated refund of 2/3 of the AF? Any new data points suggesting otherwise? This post still applies. Downgrade after you receive your $300 credit in December. You should see $300 of your AF refunded. Just found this blog. I downgraded my CSR to CF just today but didn’t know I could wait and still take advantage of the $300 travel credit. My annual fee kicked in Oct.1 and my travel credit doesn’t reset until Dec statement. My question is do I have any recourse if I already downgraded to the CF? Can I reverse tgr PC and go back to the CSR? It’s definitely worth a shot. I think they’ll let you upgrade back. Let me know what they say. Good luck! My annual fee posted on 1st October and I paid that off. @Chetan, the timing of your strategy #1 depends on how long you’ve had the card. Is it 2 years or just 1? I have a question, and was hoping you could help. I applied and was approved for the CSR in late Nov 18. I’m thinking about downgrading to the CSP, but what wanted to get the most out of my card before doing so. What do you suggest I do? Do you know when that annual fee will post? Sorry if this is a redundant question. If you were approved in November, your annual fee should have posted on December 1. I’m surprised it hasn’t. Either way, I don’t suggest downgrading until you’ve had the card for a year. Enjoy the second travel credit plus all the other benefits and have more options to downgrade to at that time. I recently was approved for the Chase Reserve Card (late Nov 18), and am starting to think that the CSP might have been a better choice for me just because of my overall usage. I’m trying to maximize the time left I have with my CSR, and wanted to know when you think i should shoot to downgrade for the CSP while maximizing on all the benefits I can. If you could be a bit specific with timeline, I’d appreciate it SO much. Also – If I sign up for Global Entry with my credit card, and down grade, will they charge me for the application? @rocker my understanding is it’s now 40-42 days from the statement that has the annual fee on it. That could be more or less than 60 days from when it posts—-depending on your statement date. Thanks Yak! Do you know what happens if the product-change is done after that? Is there a prorated refund or no refund at all? Great, thanks for all your help Yak! My wife and I both applied for CSR and I am planning on keeping mine after a year as she does not use it that much. I sent an email to the Customer Service and they replied back saying they cannot downgrade it yet. Is the cancellation the only option now? Does it affect her Credit in any way? We’re glad to see how we can help you with your product change inquiry. At this time, we cannot change your account to a different product. As an alternative, you may apply for a new Chase Freedom Unlimited credit card. Review the current offers and terms at creditcards.chase.com.When choosing a new credit card, be sure it’s a card you don’t already have. We only allow customers to have one credit card per product. Applications for a card product you already have may not be eligible for approval. We appreciate your business, and thank you for being a Chase customer. @Sam that’s what Chase says when you try to product change and you haven’t had the card for at least 1 year. Have you? Thanks for the quick response Yak. We both got the cards Feb 1st last year. @Sam, there you go, it’s too soon. Wait 30 days and try again.